The original eyeliner stencils and eye makeup stencils created by celebrity makeup artist Beth Bender. Our eyeliner stencils are made in the USA with the highest quality material and are currently used in over 135 countries around the world and counting. Create your favorite eye makeup and eyeliner looks effortlessly with PRO results every time, anywhere. Our eyeliner stencils and eye makeup stencils are flexible, easy to use and made to fit any eye shape and eye size. With our eyeliner stencils and eye makeup stencils, creating perfect cat eye makeup, top & bottom liner and sultry smokey eyes can be easily achieved in just a few simple steps. Invented by celebrity makeup artist Beth Bender. Our stencils are made in the U.S.A. and designed with the highest quality material. Used in over 135 countries around the world and counting. Create your favorite eye makeup and eyeliner looks effortlessly with professional results every time, anywhere. Applying popular eye makeup looks has never been easier with Beth Bender Beauty's Original Cat Eye Makeup & Smokey Eye Makeup Stencil Set. 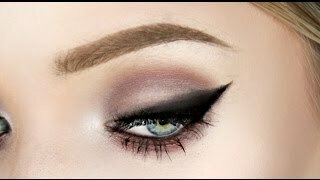 Have you always wanted to create the perfect cat eye makeup look or winged eyeliner and wondered how to achieve a pair of sultry smokey eyes that stand out but have never been able to get it just right? Well now you can and with professional looking results. Never before has there been an eye makeup tool that allows you to create numerous eye looks without the help of a makeup artist on hand. These one-of-a-kind eyeliner and eyeshadow makeup stencils are flexible and designed to fit any eye shape and eye size. They are also reusable and easy to clean for endless eye makeup applications.They can be used with any eyeshadow, loose or pressed to create the look first and then set with either a gel liner, liquid liner, cream shadow or a pencil liner for perfect cat eyeliner and winged liner that stays on all day long. Whether you're in the mood for just a simple liner along your eyelid, perfect cat eyeliner, a winged eyeliner look, or a sultry smokey eye, you will easily be able to create them all with beautiful results! Pro Tip: For the best results beauties, don't use a pencil with our stencils. We recommend using an eyeshadow first to create the desired shape before going over with your favorite liquid, gel or pencil liner to complete the look. Do you want to create the perfect winged eyeliner or cat eyeliner makeup? Grab your cat eye makeup stencil and place it over your eyelid. For the easiest application hold your cat eye makeup stencil in place with your index and middle fingers. For a trendy and thicker cat eye look you’ll want to make sure the edge of your cat eye stencil shape is placed slightly above your lashline. For an easy application, follow the black guideline along the cat eye stencil shape when applying your color. For a classic petite cat eyeliner look place the edge of your stencil closer to your lashline. Using a medium size eyeshadow brush create your cat eyeliner look by dipping your brush into your color (making sure to tap off any excess) and applying your shadow into the cat eye stencil shape. As you apply your color inside the cat eye shape, use a pressing motion (not a sweeping) with your brush to ensure that the color is applied evenly up into the cat-eye/winged point. Remember to follow the black guideline. You can dampen your brush using an eyeliner sealant or a drop of water before dipping it into your eyeshadow. This will give you a more prominent eyeliner look and intensify the color. Before moving on to the next eye, make sure to wipe your eyeliner stencil clean with a soft tissue or a baby wipe and repeat the same steps. This is an eyeliner look that never seems to go out of style. There are a number of variations and once you’ve mastered the look they can all be achieved with ease. To get the perfect winged shape the key is to extend your cat eye stencil out from the end of your eye and point the tip up at a slight angle. The further you move your cat eye makeup stencil away from your outer eye and point the cat eye tip up, the more of a winged eye makeup effect you will create. For a winged liner that is thicker place the stencil further away from the lashline, and for a thinner winged liner place it close the lashline. Finish your winged eyeliner look by lining underneath your eye with your Bottom Liner Stencil (found on the opposite side of your smokey eye makeup stencil). 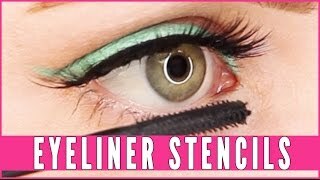 Place the end of your Bottom Liner Stencil so that it is centered underneath your eye. The black guideline should extend beyond the end of your outer eye. Hold in place with your index and middle fingers and apply your shadow along the marked guideline all the way up so that it meets the top liner to form a perfect winged point. Bottom Liner: Another thing the eye makeup stencils can do is perfect top and bottom liner. Many smokey eye makeup looks call for bottom liner. To do this, place your Bottom Liner Stencil underneath your lashes, hold in place and fill in with color. Remove your stencil, wipe clean and repeat on the other eye. Pro Tip: The closer you place your bottom stencil to your lashline the thinner the eyeliner. To create a simple eyeliner look for the top eyelid take your Top Liner Stencil (found on the opposite side of the cat eye makeup stencil) and flip it upside down. Hold in place along your lashline using your index and middle fingers and sweep/press your eye color along the black guideline. For a thicker line place your Top Liner Stencil further away from lashline. Beth's Pro Tip: For the best results when using our cat eyeliner stencils I recommend using an eyeshadow first to create the desired shape. You can complete your look by going over with a gel liner, liquid liner or an eyeliner sealant to lock in your color. Have a makeup question? Our Beth Bender Beauty Experts are ready to help. Anytime. Email an expert at expert@bethbenderbeauty.com. Where have these been my whole life?? My search for perfect eyeliner is over at last!! I have had difficulty putting on my make up. That's why I must tell you I am using your stencils and make up and absolutely love them. I will need more practice but amazingly enough I walk out the house feeling more confident than ever. I just received my eyeliner stencils and am wondering why I didn't buy these sooner! In one word AMAZING!!! They are easy to use, create the perfect liner, winged liner and cat eyeliner and the smokey eyes are not too shabby either. For anyone who struggles with doing eye makeup period, this is the tool you need. Before deciding on which eyeliner set to buy I spoke with someone in customer service who could not have been nicer. Answered all of my questions and believe me there were a lot. So pleased with this purchase and will definitely be back for more. A makeup staple for life! These eyeliner stencils have become a staple in my makeup bag. I was never able to do eyeliner without using at least a dozen qtips and lots of makeup remover. They are so easy to use and my eyeliner looks really great. Thank you Beth Bender Beauty! I've always had problems with doing my eyes, especially eyeliner but these stencils give you the control and fine precision...soon to be a professional! I love these eyeshadow stencils. I have been using for a little over 3 weeks and they are pretty amazing. They come in this cute zippered pouch which is small enough to pop in my purse and instructions so you cannot fail! I am an eyeliner fanatic and typically these types of tools don't meet my standards.. But I LOVE this stencil set! Perfect liner in under a minute, and their products are cruelty free! It ia so simple to use. It is a must have!!!!!! What a wonderful eyeliner tool. Makes doing your eyes extremely easy when applying eyeshadows or powder liners. A Must Have. So far I've had these eyeliner stencils for a few weeks. It's very much my favorite beauty tool. I love how fine of a line they can make! I mostly use the cat eye stencil which I absolutely love, and on occasion I will use the smokey eye stencil. I love these eyeliner stencils. Easy, breezy and perfect all the time. Made me an eye-lining pro day 1. My vision is horrible and I use a strong magnifying mirror - but eye-lining has always been challenging. Not any more! I will be a lifer! 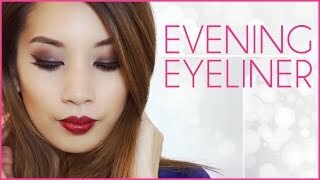 I never thought I could pull off cat eye and smokey eye looks but these eyeliner stencils make it so easy to apply makeup and so effortlessly. I love the cat eye stencil. it just makes the eyeliner look so incredible. I am in love! I have such a hard time with eyeliner and was looking for an eyeliner stencil to help me. After reading the reviews, and watching a few video's on youtube I purchased the set. Both stencils are perfect for me, and I have used them both almost everyday since. Perfect eyeliner gives me a polished look, and I highly recommend trying the set. Saw a tutorial on YouTube and couldn't believe how quickly she did a smoky eye and cat eye. In seconds. I have so much makeup but have never been able to create either of these looks without it taking forever. Really fun to use, pleased with it. Anyone who has trouble doing eyeliner, or a smoky eye needs these stencils. They are easy to use and a huge time saver. Well worth the money! These stencils are amazing! 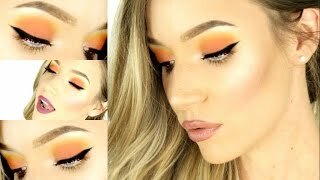 I purchased last week after watching this YouTube video and was blown away by how quickly she did both of her eyes. I have never been able to do a cat eye without using at least 6 to 8 q-tips for clean up. One try and no mess. Very satisfied customer.